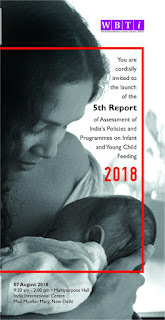 This is advance information for the report titled “Arrested Development”, the 5th Report of Assessment of India’s Policy and Programmes on Breastfeeding and Infant and Young Child Feeding 2018, to be launched on 7th August by Sh. Rakesh Srivastava Secretary, MoWCD Government of India at India International Centre, Multipurpose Hall, New Delhi (9:30 am to 2:00 pm). You are cordially invited to the report launch. The media briefing at the event will take place between 1:00 pm to 1:30 pm. 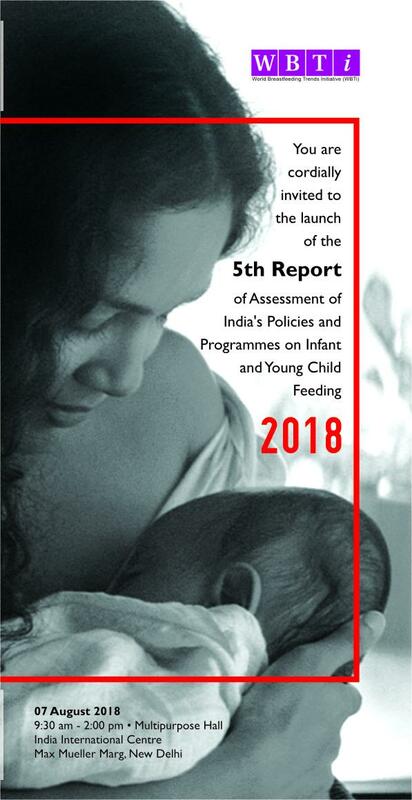 The report talks about how India's policy and programmes in different sectors provide support to women in removing barriers to breastfeeding at home, hospitals, and workplaces. BPNI would be happy to assist you.